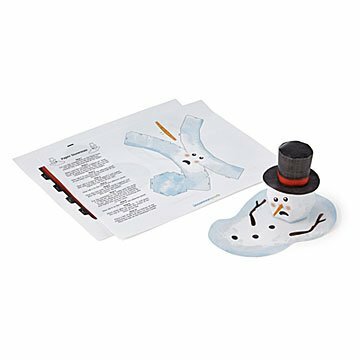 Make these fun holiday party place cards or decorations: Each snowman has space for treats under his hat. Gather your jolly happy souls to make these melty snowmen. Once you print out the free downloadable pieces and put them together (directions included), they make festive place cards or decorations for your next party. Plus, each snowman has a place for treats underneath his hat: add a few peppermints, or maybe a handful of colorful candy pieces for a sweet surprise. My son has his school holiday party next week and is having fun making these to bring treats for his friends! Thank you for providing a free template! What a great gift from UncommonGoods! Thank you UG! This is such a great idea and I love that it is free. I will be using these for place cards on Christmas! It was fun creating the snowmen and sharing a few moments.